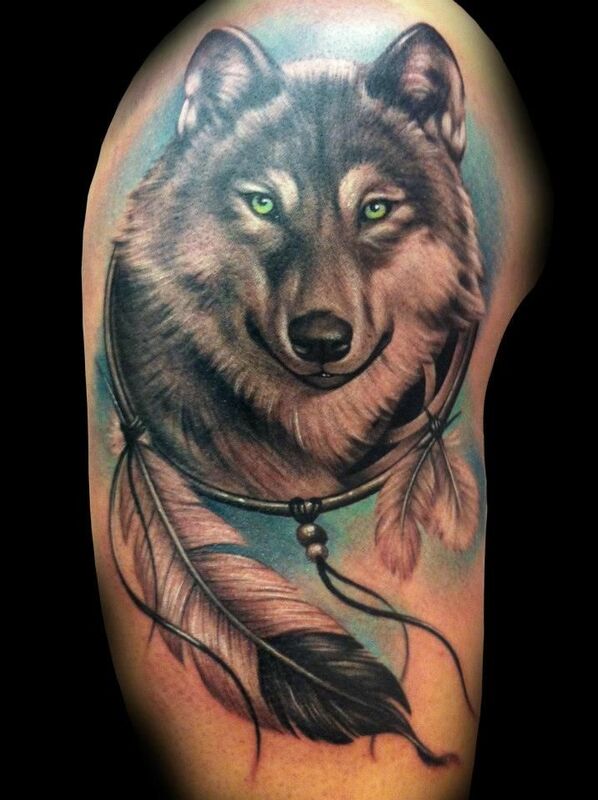 There is no limit to what tattoo a person can have on his body so anyone can have any design on his or her body. 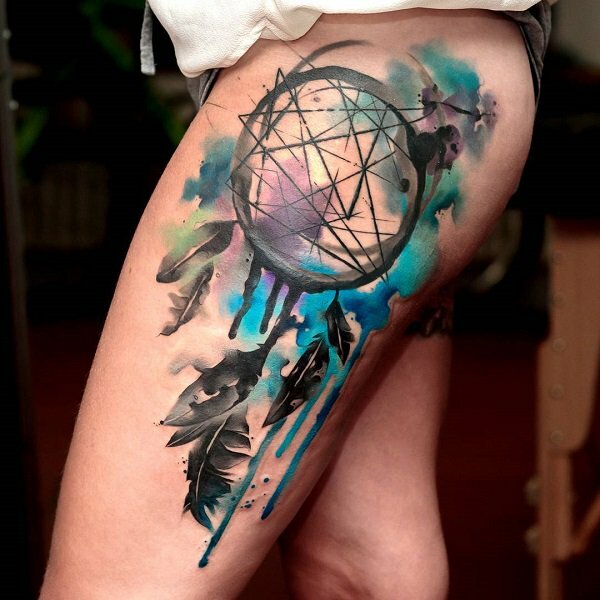 Of all the items that are popular in the tattoo community, one that we can see most are the dream catcher tattoo designs. 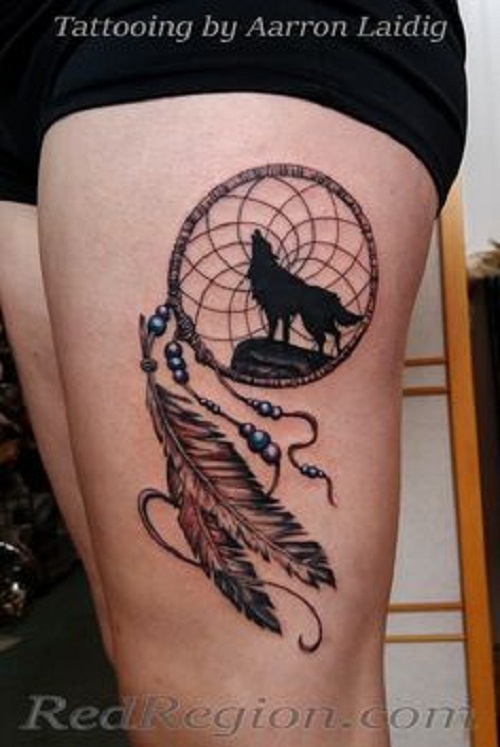 Tattoo artists can get really creative when making designs for this object so it is no surprise that there are many ink enthusiasts that are considering adding a dreamcatcher for their collection. 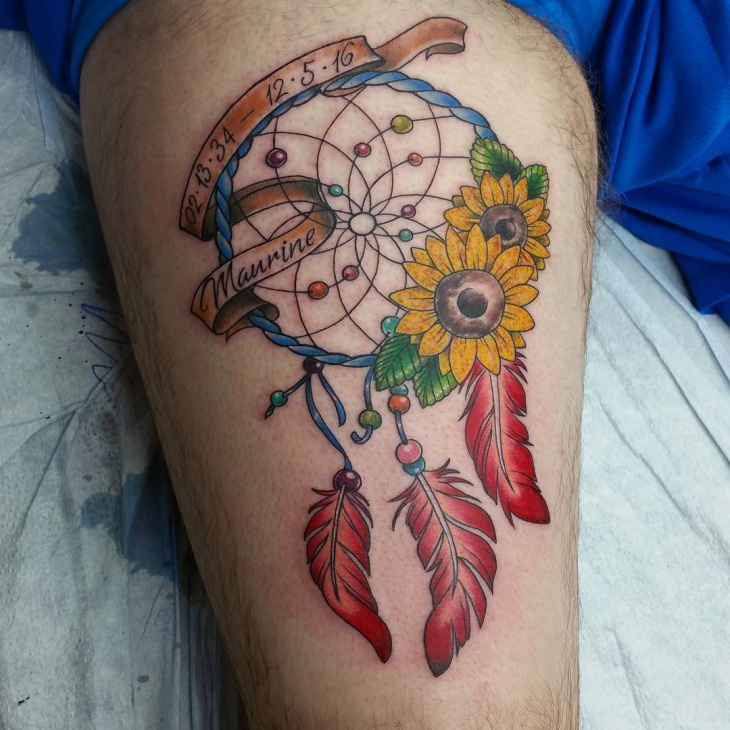 But first of, what are dreamcatchers? 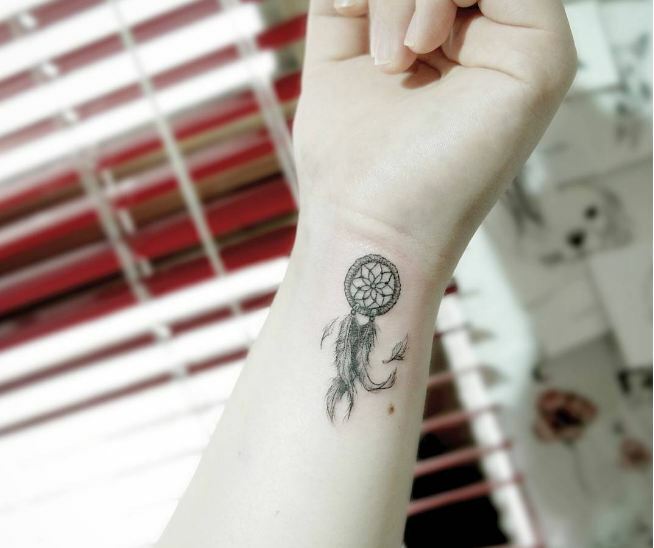 True to its name, almost everyone believes that dreamcatchers are a tool that can bring people closer to good dreams when sleeping. People typically place it in a bedroom, on the door or in any part of the house. 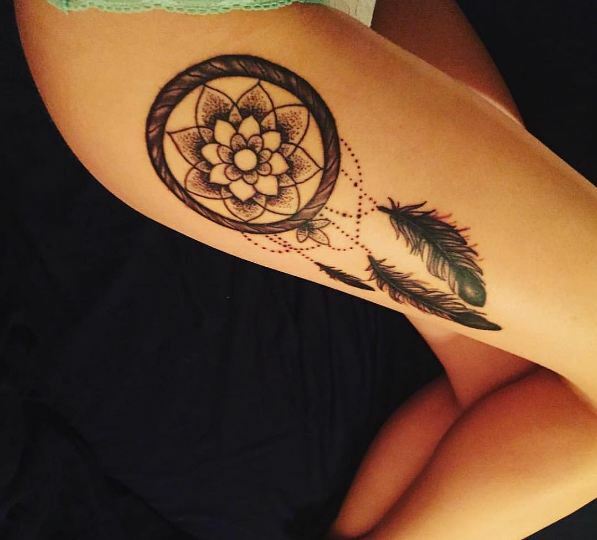 Dreamcatchers are purposeful and they add a unique touch of style to the room. 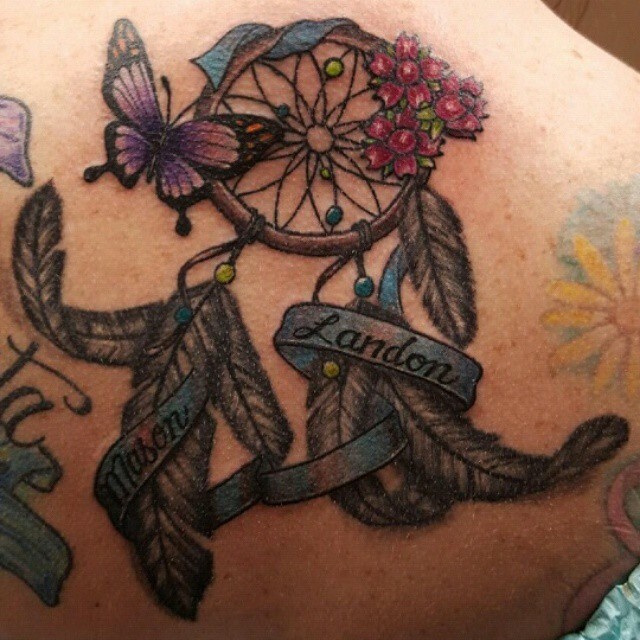 Some people opt to buy dreamcatchers but there are also some who would prefer to make them by hand for a personal touch. 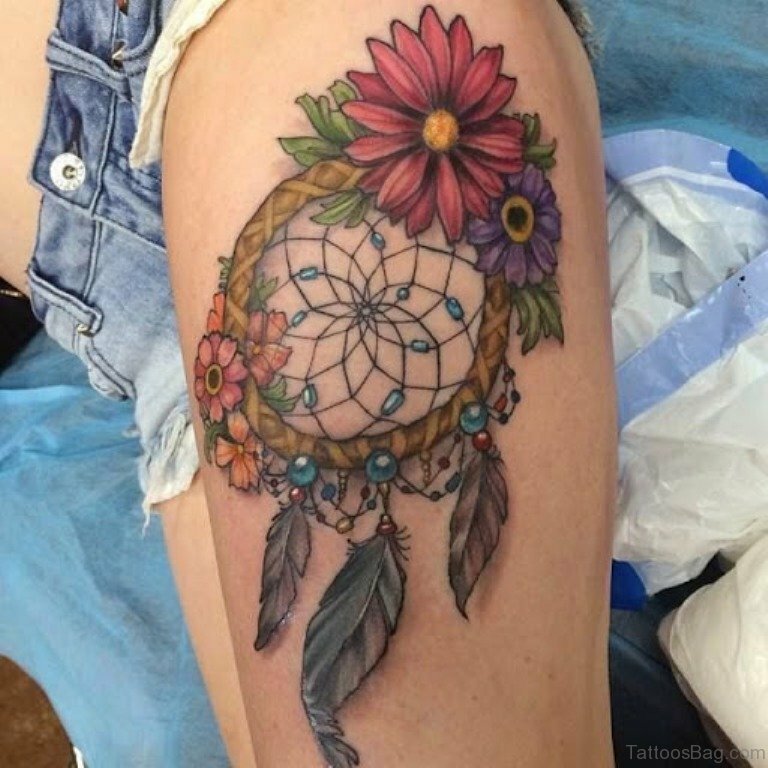 Dreamcatchers exists in a variety of different patterns and colors but most are commonly circular in shape. 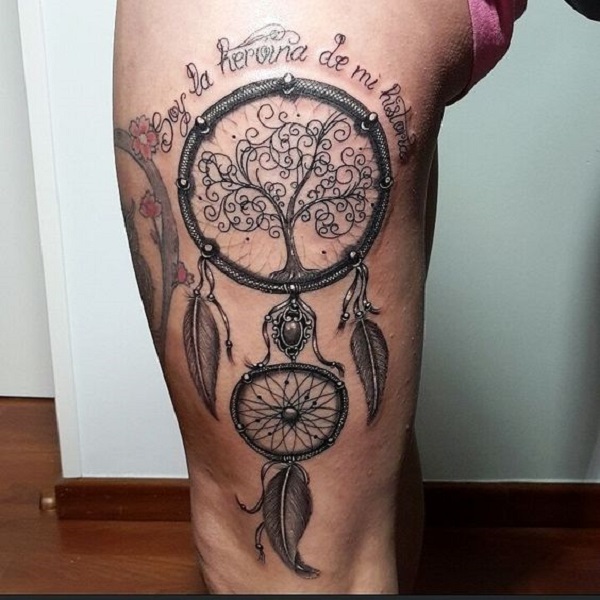 Like the dream catcher tattoo styles, the designs in which dreamcatchers appear as is limitless and it is completely up to the imagination and creativity of the person making the tool to figure out how it will turn out. 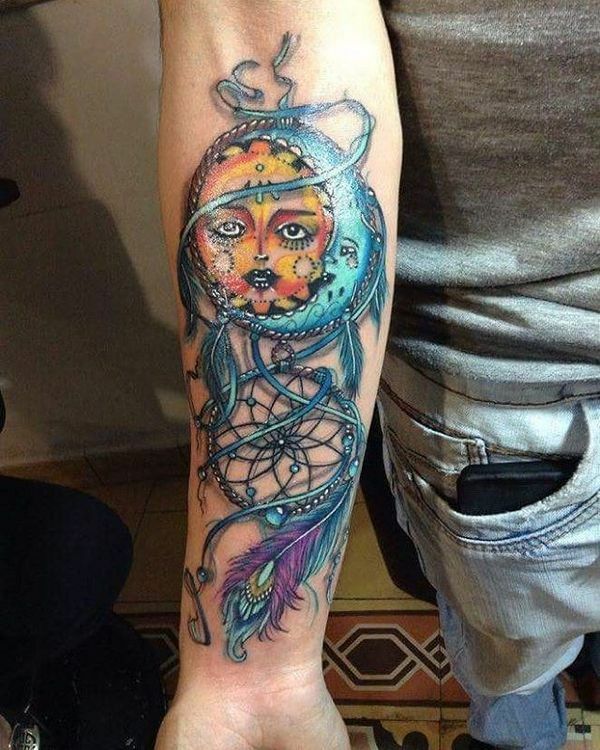 The star of each dreamcatcher is the centerpiece that is typically made with strings or other materials. 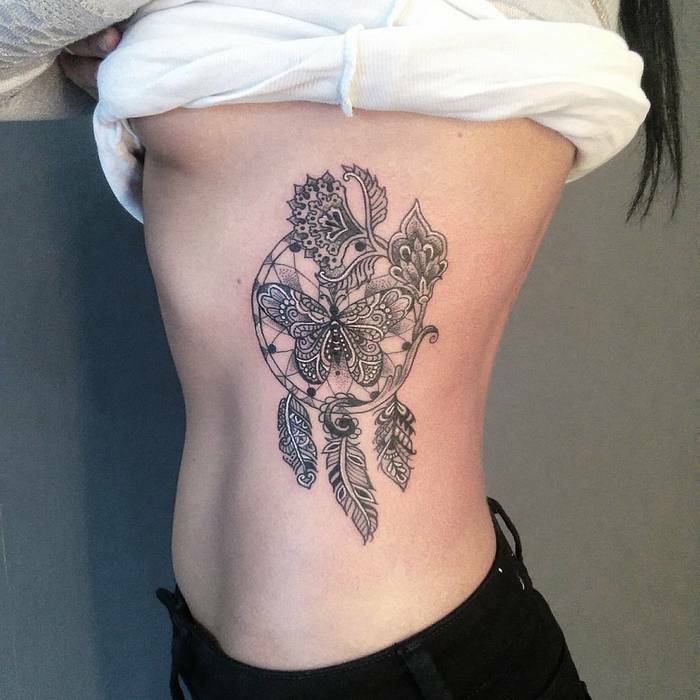 The centerpiece is a complex series of lines often that are symmetrical. Some experts are able to create unique shapes. 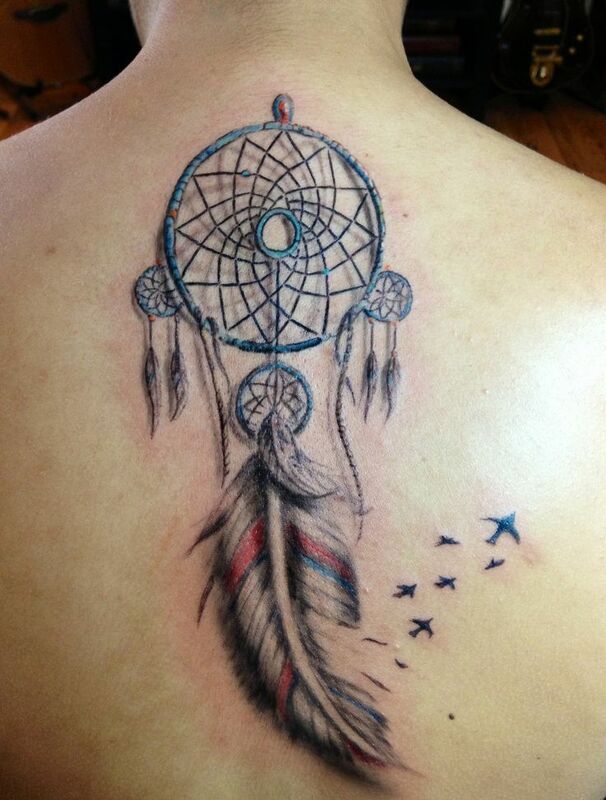 An array of different patterns are possible including birds, animals, arrowheads and more. 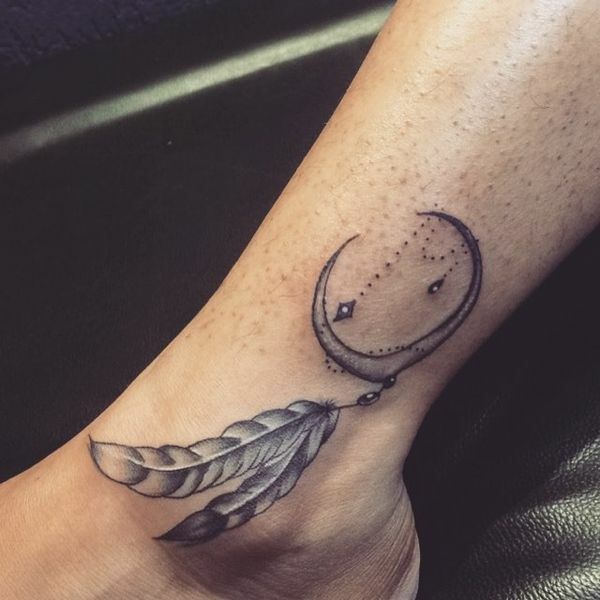 4 Where to Place These Tattoos? 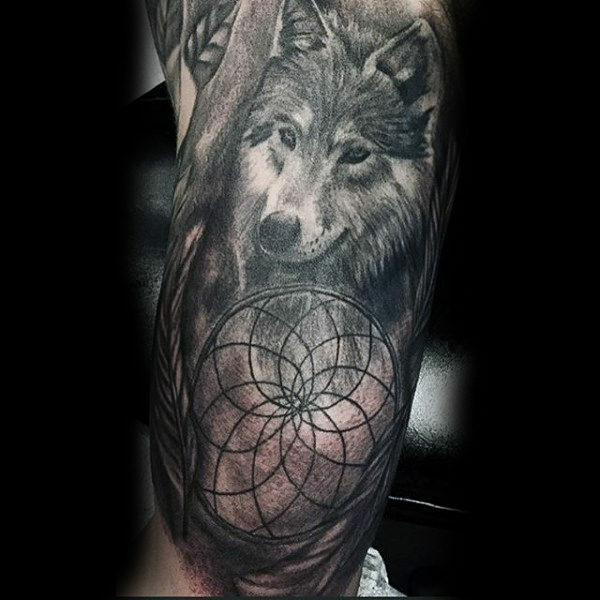 The dreamcatcher’s origins dates back to the Native Americans. 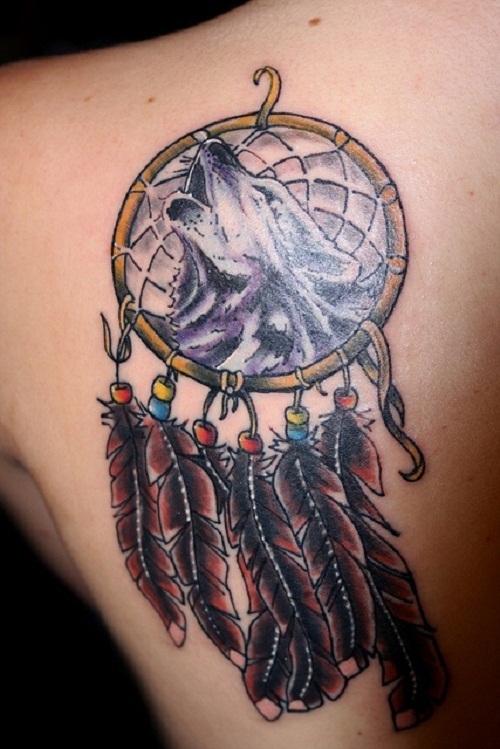 The Native Americans are a group of people that have a strong belief in spirits and other divine beings. They also have a strong love and care for nature. 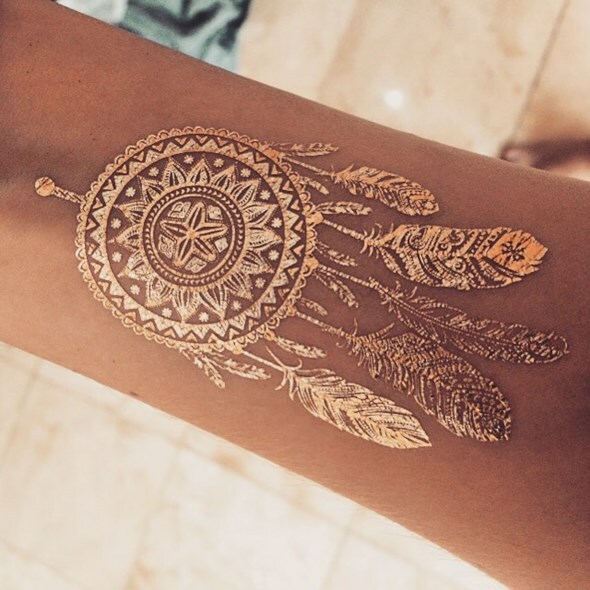 This can be seen in the fact that dreamcatchers are typically made with materials like wood, bird feathers and more. It is believed that the first people who utilized it where the Anishinabe, who were also called as the Chippewa people in America and Ojibwa in Canada. This Native American tribe lived at the border of the North-Central United States and Southern Canada. The tribe name roughly translates to original people which is fitting for their ideology that they were the first ones to live on their land. As the Anishinabe people grew more populous, they had to move to other areas and some members began to migrate. Since her people are scattered, the Spider Woman had a harder time creating webs for all of her people’s infants. As a solution to the problem, the women of the Anishinabe tribe creating dreamcatchers. 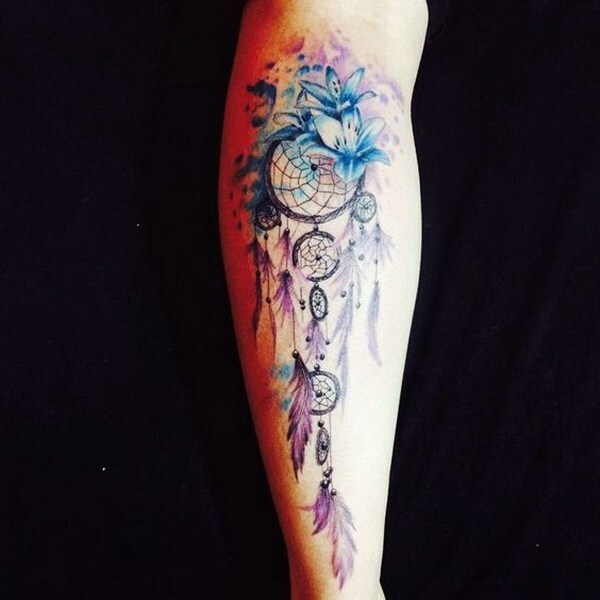 Like the Spider Woman’s webs, the dreamcatchers had a unique woven pattern at the center. 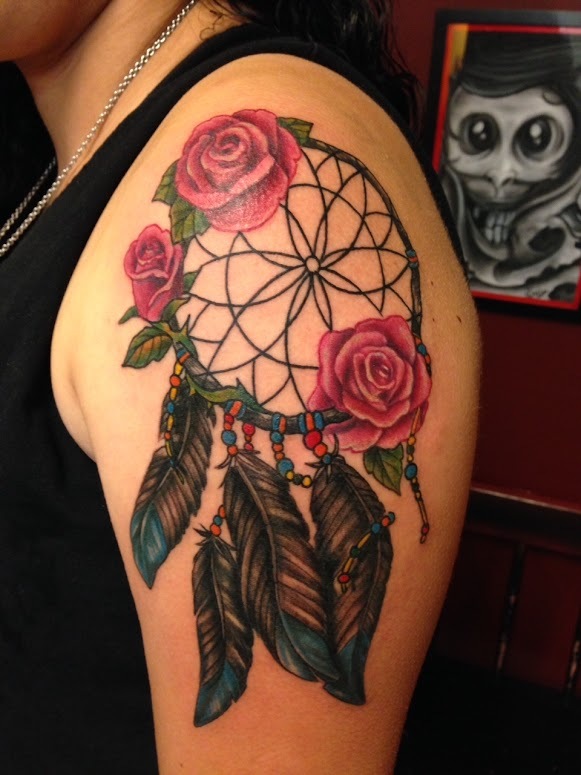 After the colonization and modernization, the dreamcatcher stayed strong throughout the years. The tool emerged once again in the late 90s and now, more families are using these to protect themselves from bad dreams and to give their homes a unique touch of Native American culture. 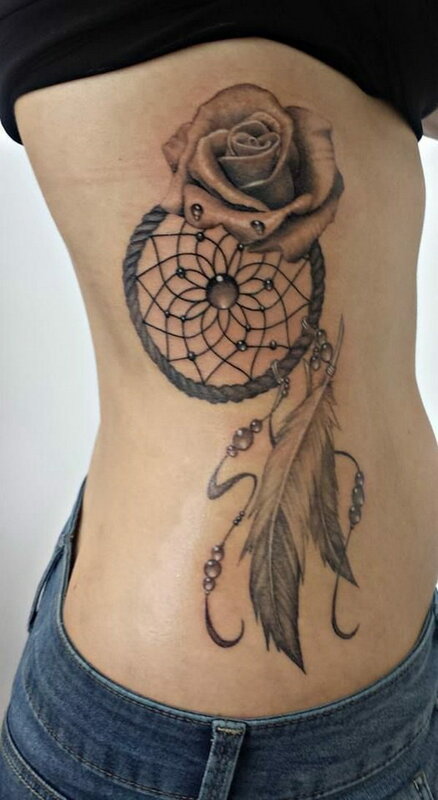 To this day, this is the common association for dreamcatchers as these tools are used for the same purpose. 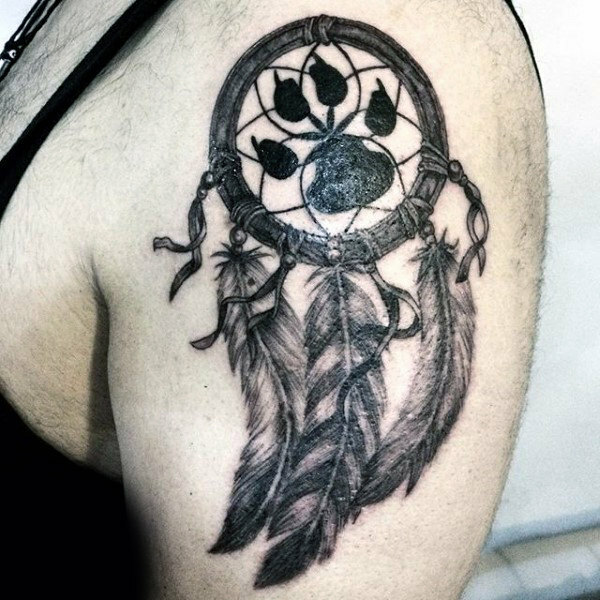 Aside from bad dreams, modern people also believe that dreamcatchers can protect them from negative spirits and bad omens. 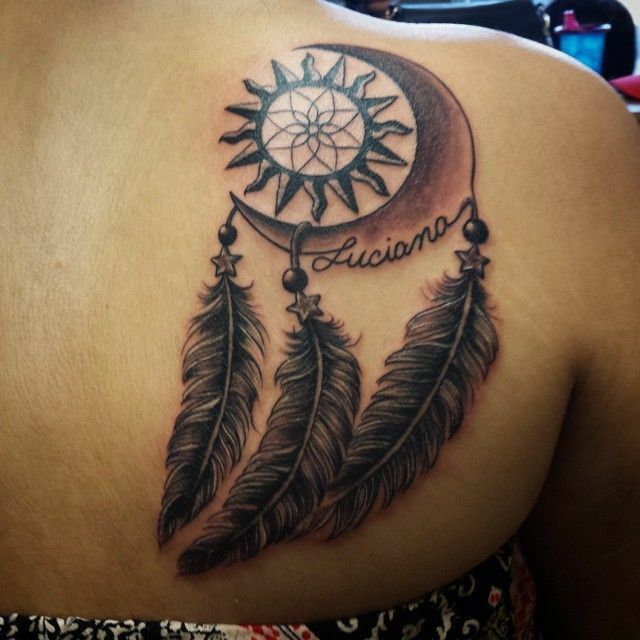 Another association for dreamcatchers is its ties with the Native American culture and heritage. 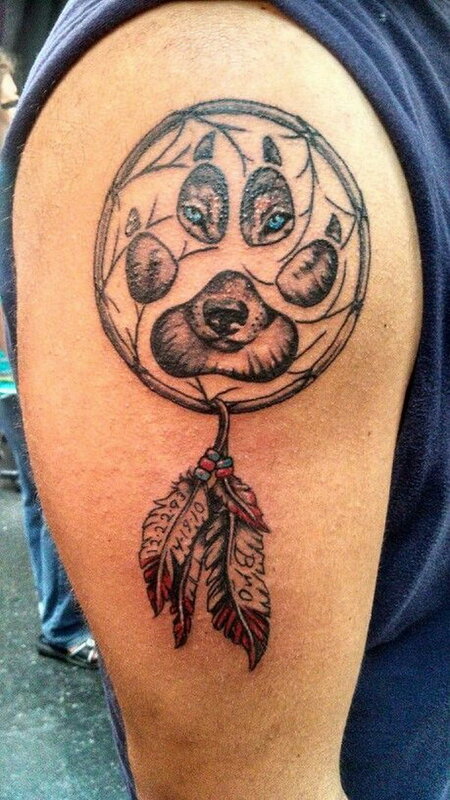 People who still have a strong lineage to their Native American blood use dreamcatchers to represent who they are. 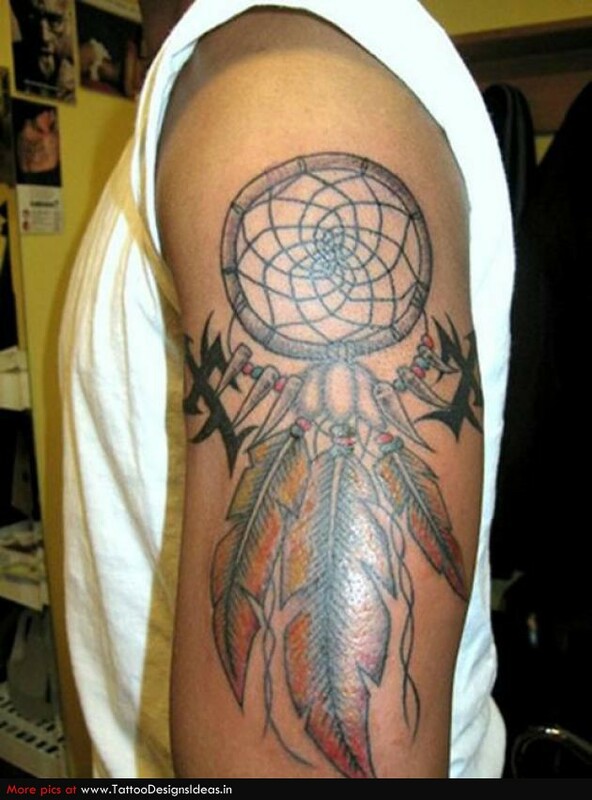 Alternatively, some people use the design to pay homage to the original inhabitants of the U.S. 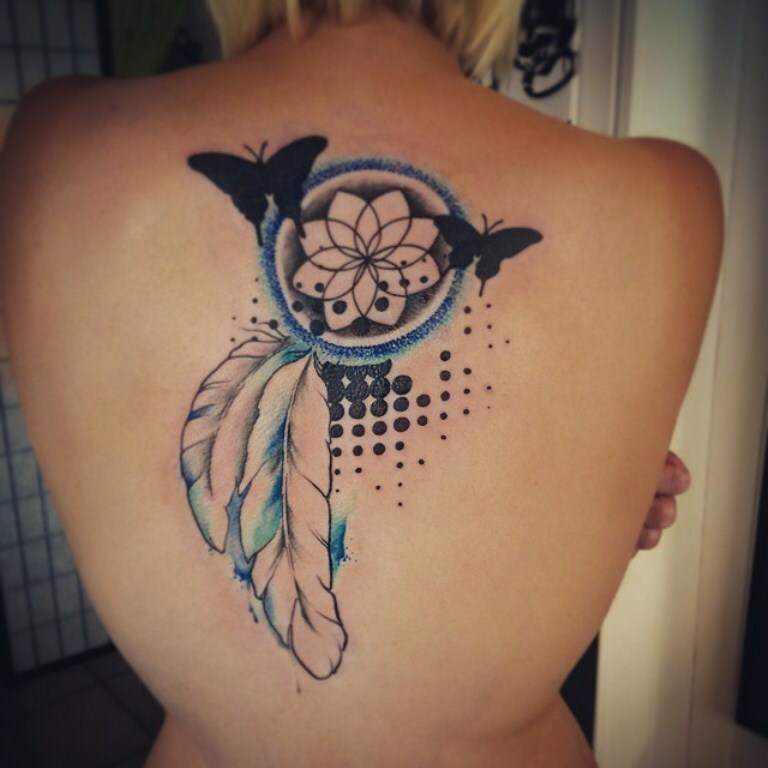 If not for these two reasons, people use the dream catcher tattoo design because of its aesthetics and it can be easily inked on any part of the body. 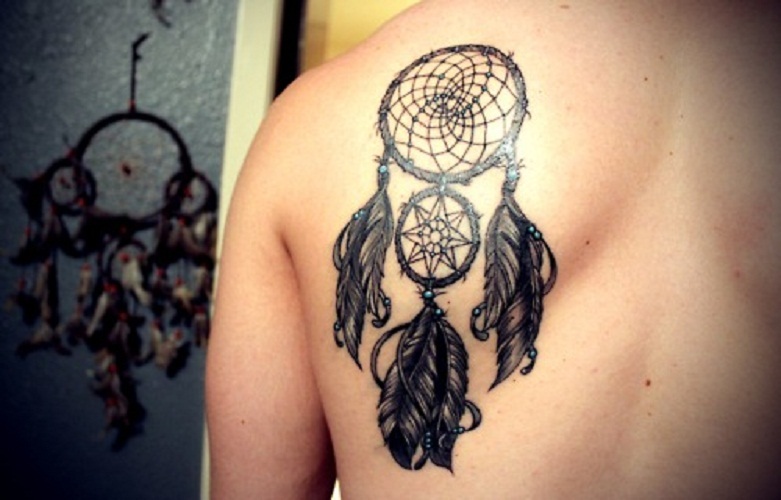 Dreamcatchers are pleasing to sleep beside with and they are also pleasing to have as tattoos. 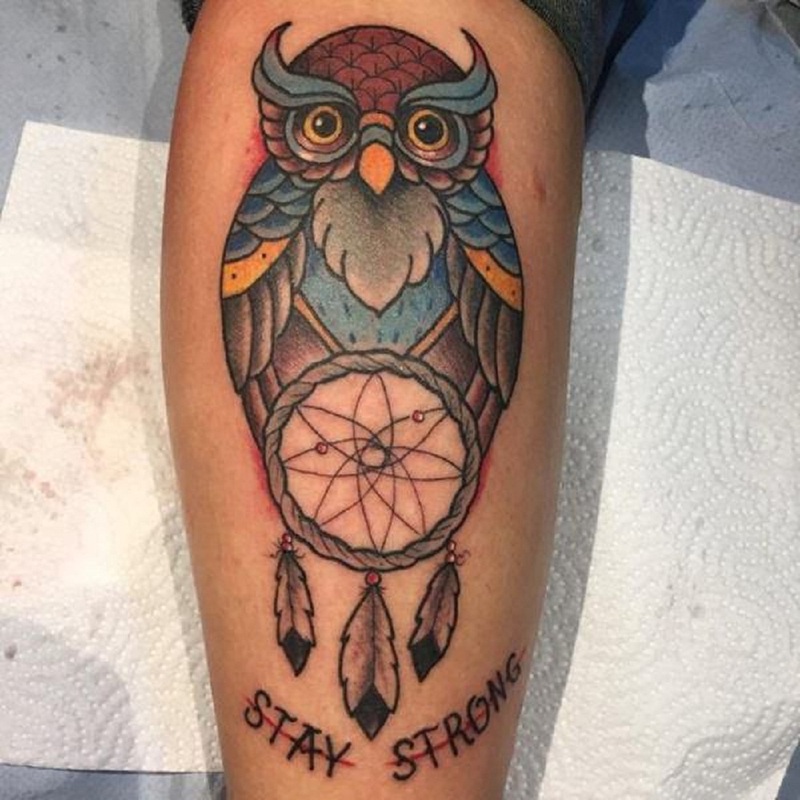 The unique design gives people the chance to really differentiate themselves for others. 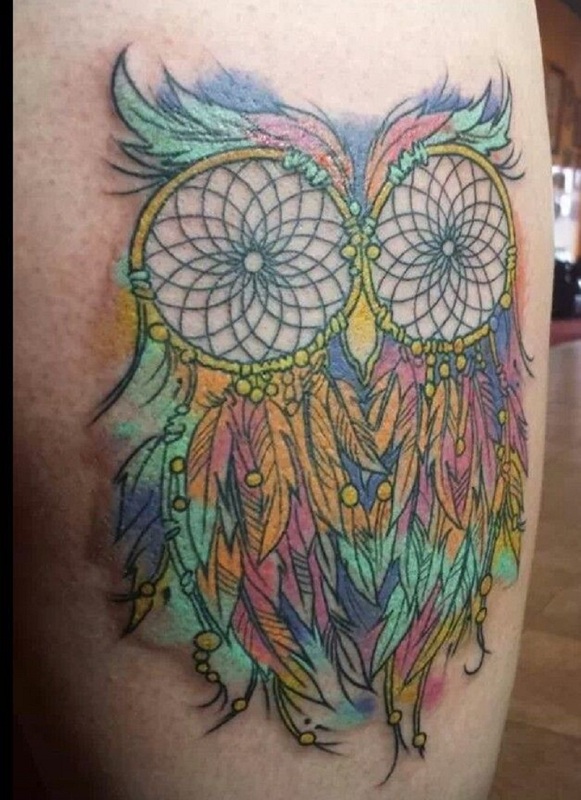 Thus, it should be no surprise that there are many who want to have this tool inked on their bodies. 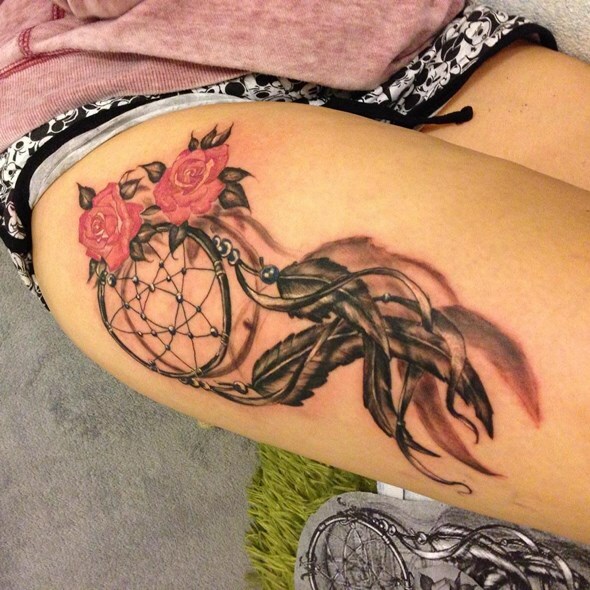 Those who are dreaming about getting a tattoo one day should definitely have dreamcatchers as one of their options. 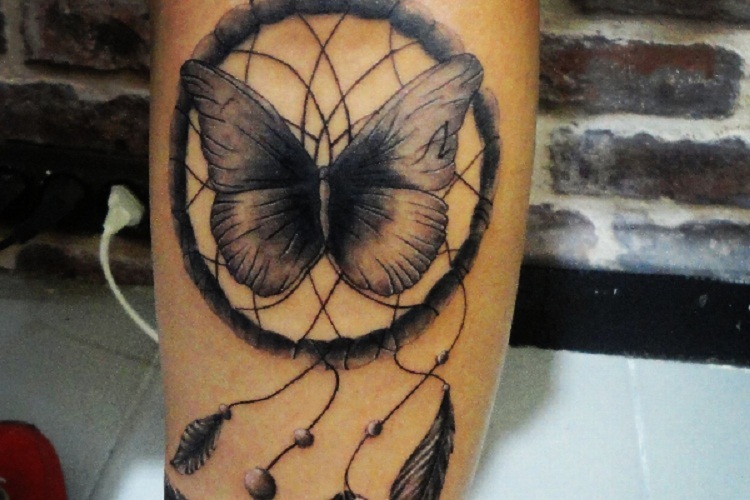 Here are some common dream catcher designs for you to have an idea on your tattoo’s design. 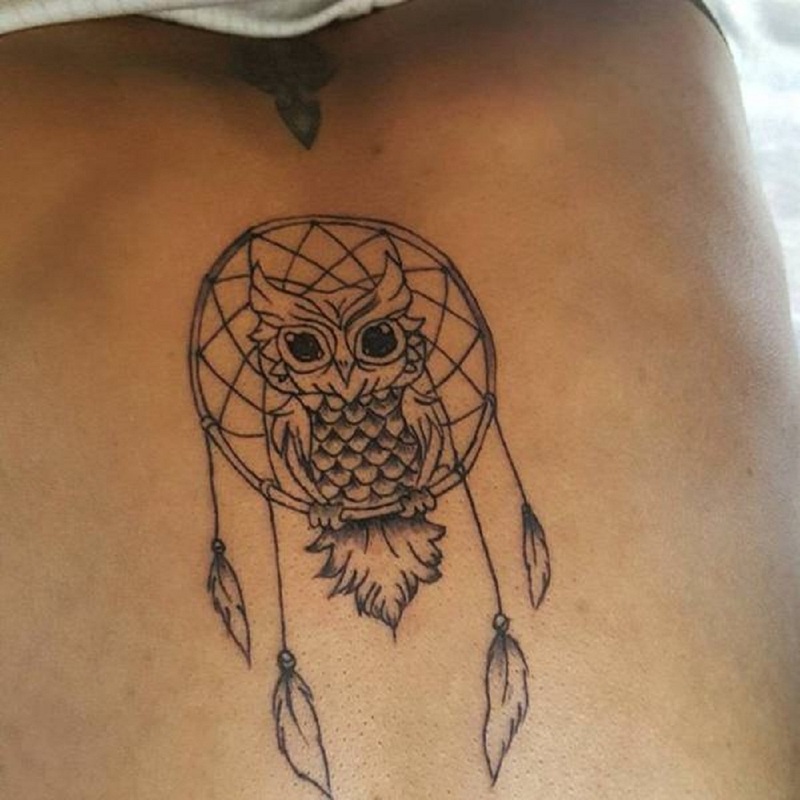 A dreamcatcher with owls are one of the most common design variations of dreamcatcher tattoos. 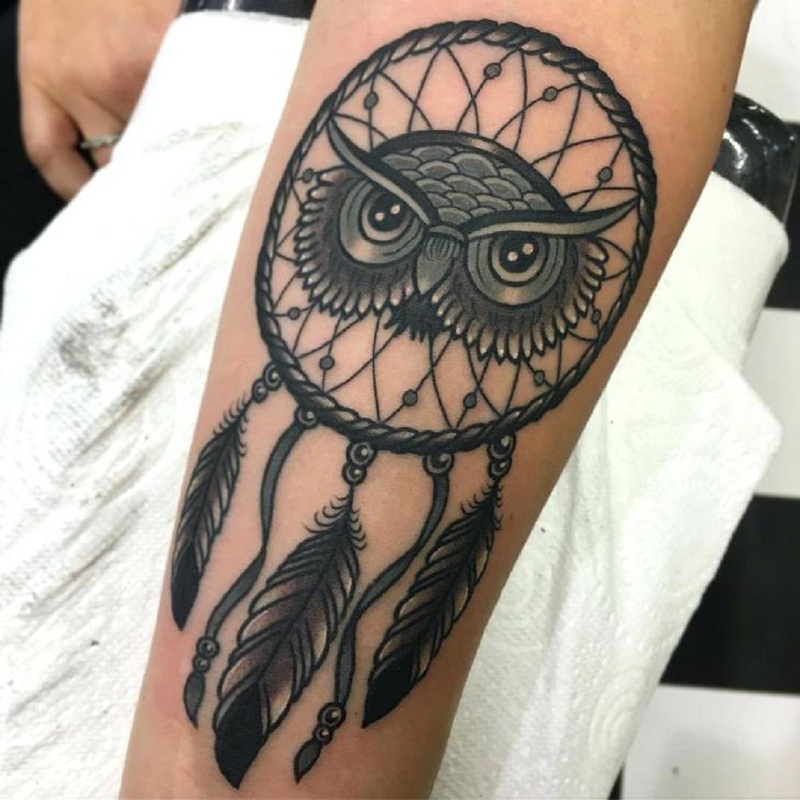 Adding an owl tattoo design to you dream catcher tattoo will not just make it all the more meaningful but through this, you can also show a bit of your personality. 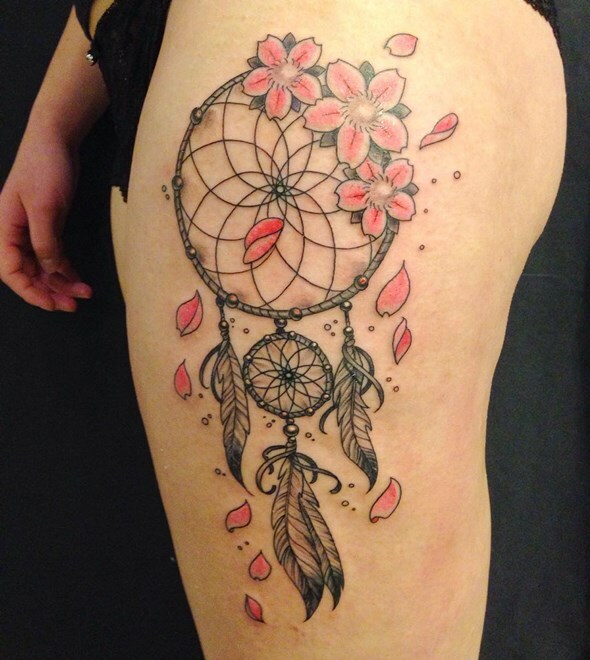 Floral patterns are also one of the popular designs in the tattoo industry. This is because it’s versatile. 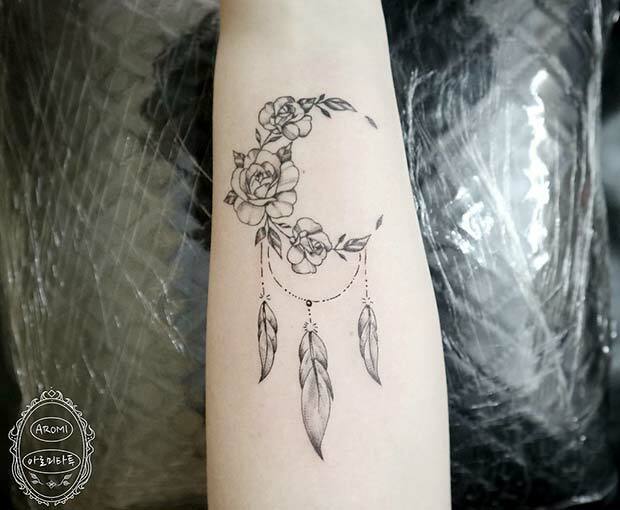 Adding a rose tattoo, for instance, to your dreamcatcher tattoos will make it more sophisticated and can also signify strength. 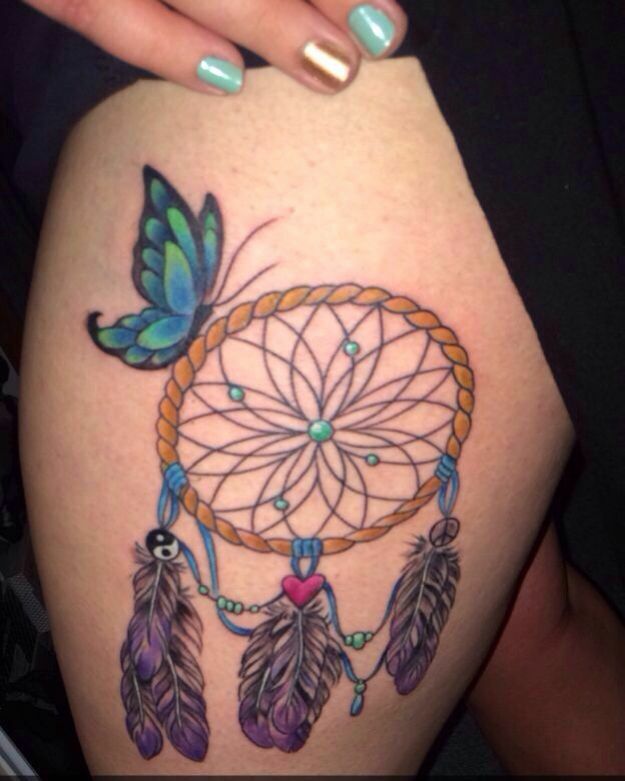 Butterfly tattoos aren’t’ just for symbolizing femininity. 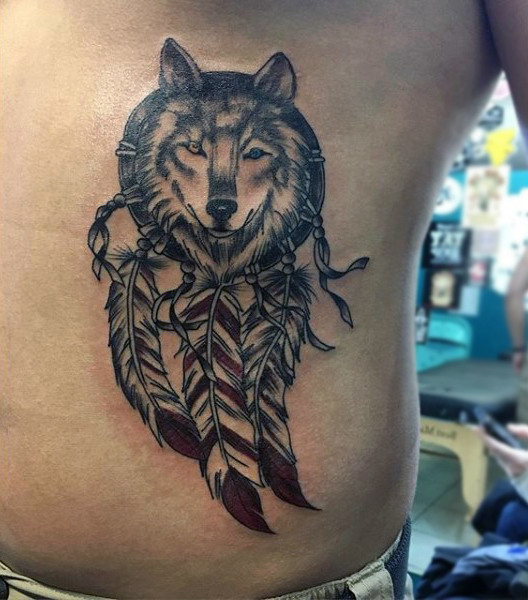 Contrary to what most people believe, this type of tattoo design can also mean freedom, transformation, and faith. 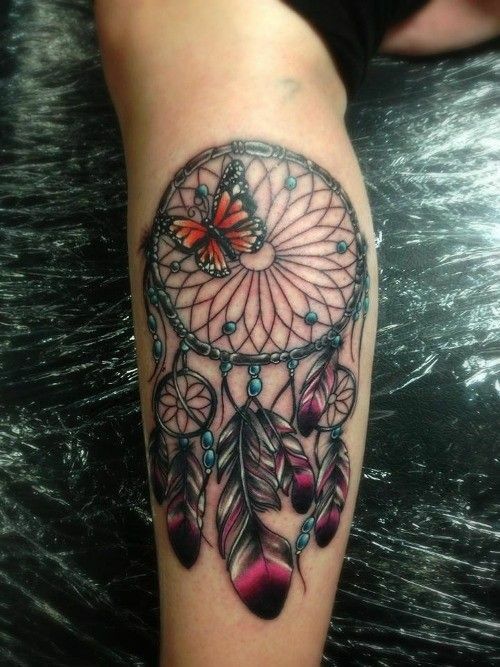 Add this to your dream catcher tattoo and you can make it more significant. 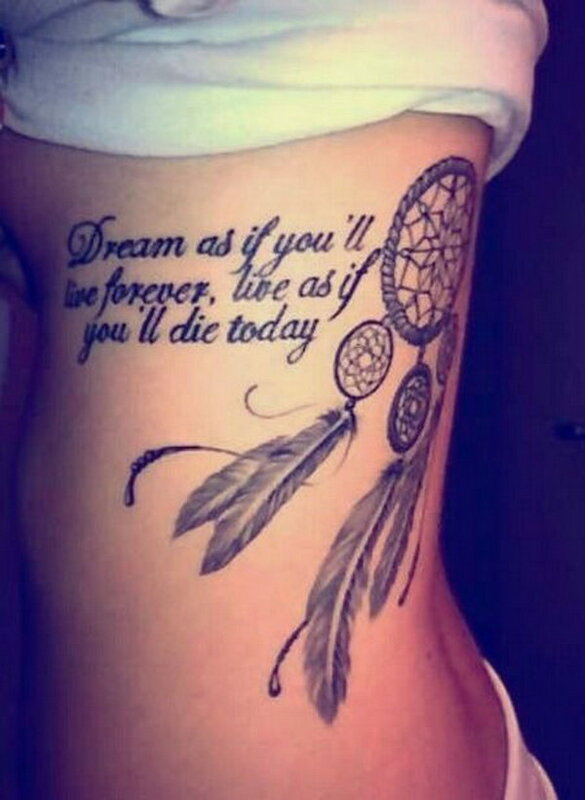 Quotes can make any tattoo more significant. 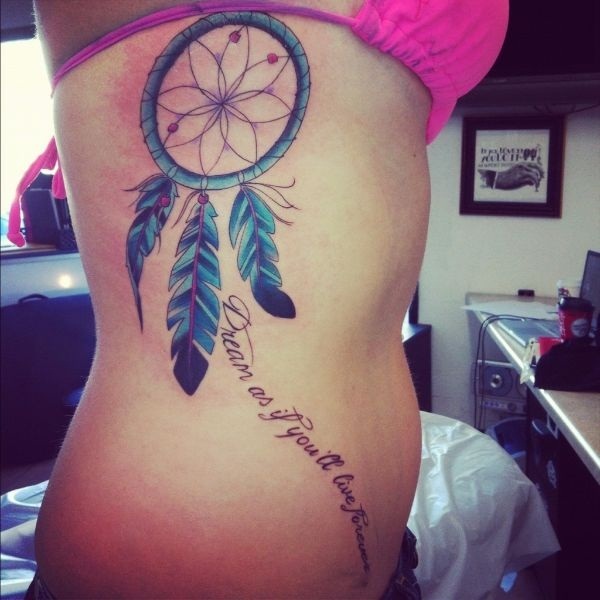 If you want to be inspired 24/7, add a quote to your dream catcher tattoo. 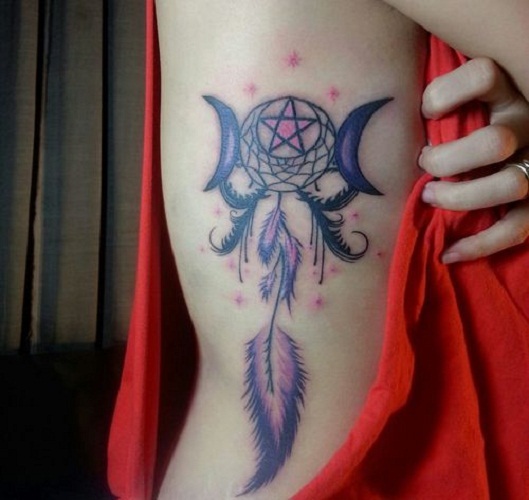 Moons as tattoo designs hold vast meanings. 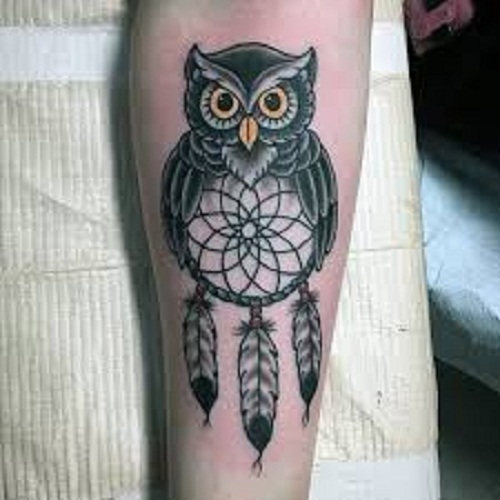 Additionally, its significance may vary depending on how you use it with other tattoo styles. 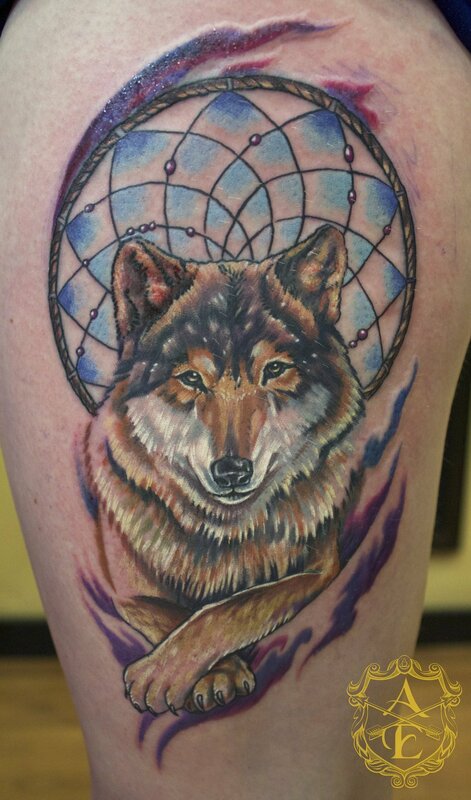 People associate both the wolf and dreamcatcher symbols as a sign of protection. Ink this on your body and you’ll always feel protected. 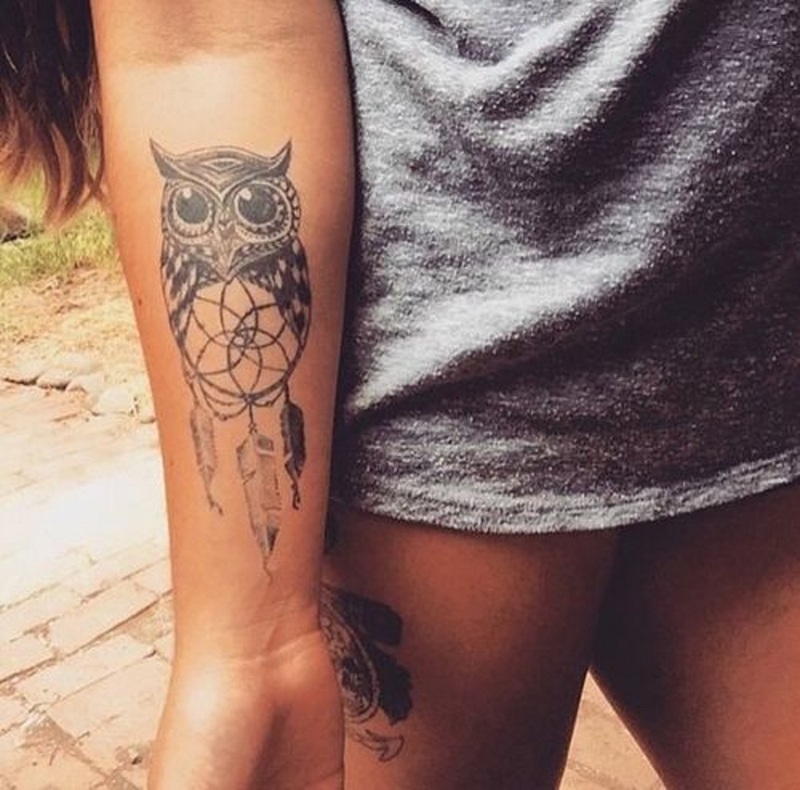 Where to Place These Tattoos? 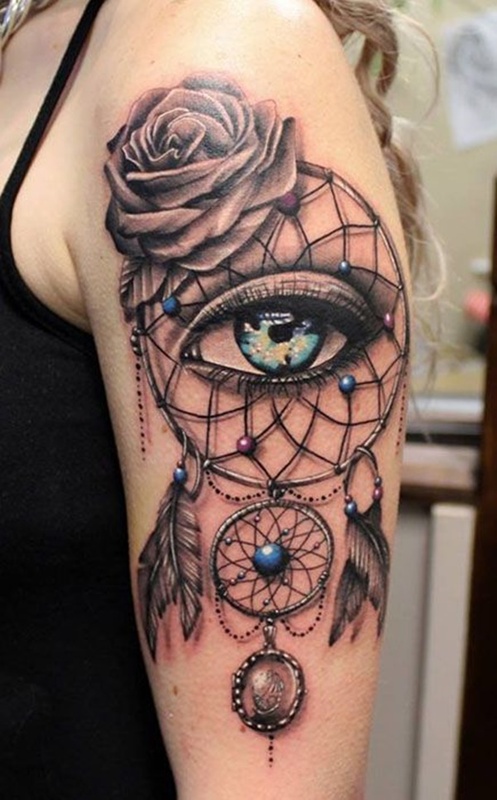 While you can place these dreamcatcher tattoos anywhere in your body, there are certain spots that you can use if you want to make your dreamcatcher tattoos look better. 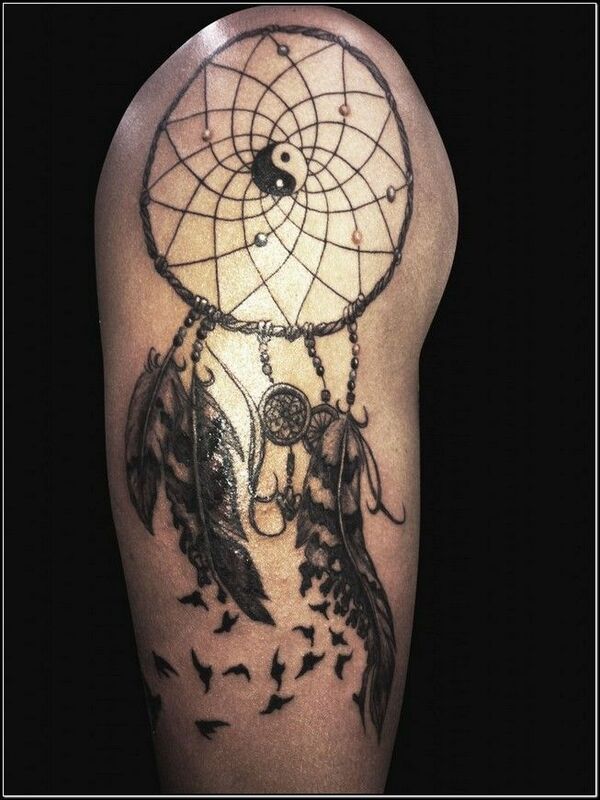 For men, you can opt placing your dream catcher tattoo on the arm as this can help accentuate your bicep. 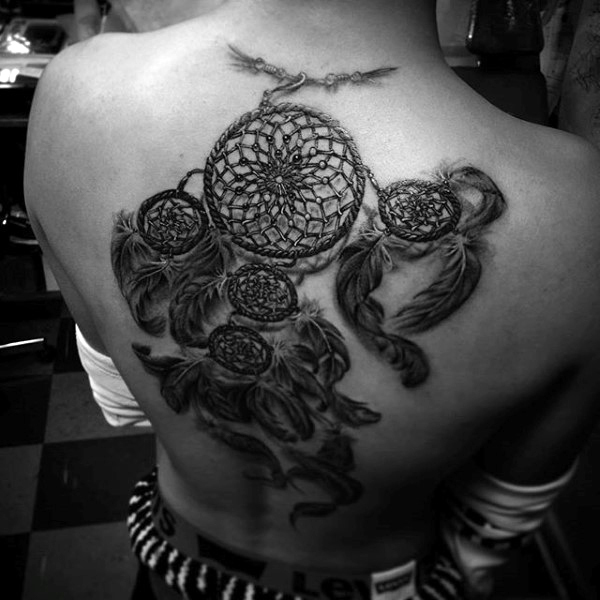 The back is also a good location, especially if you want big and detailed dreamcatcher tattoos. 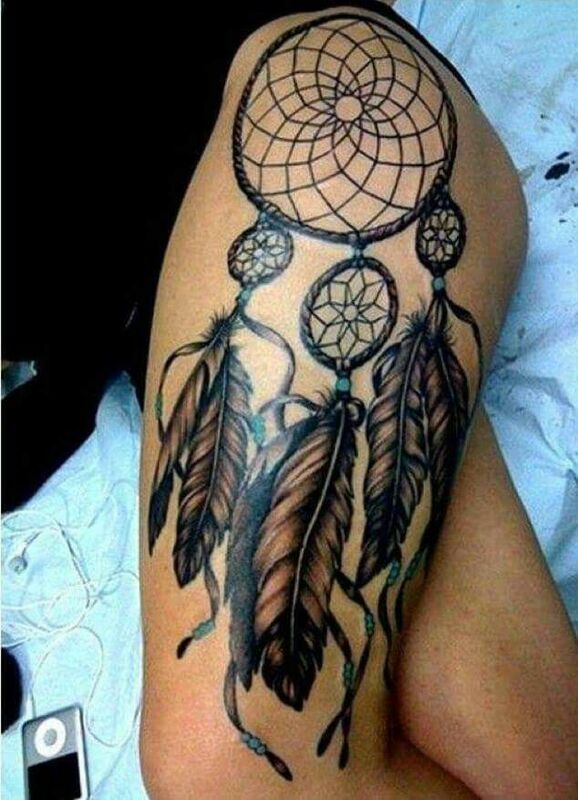 On the other hand, for women, placing your dreamcatcher piece on the thigh will accentuate your legs and will make you look sexier. You can place it on the wrist too for added sophistication. 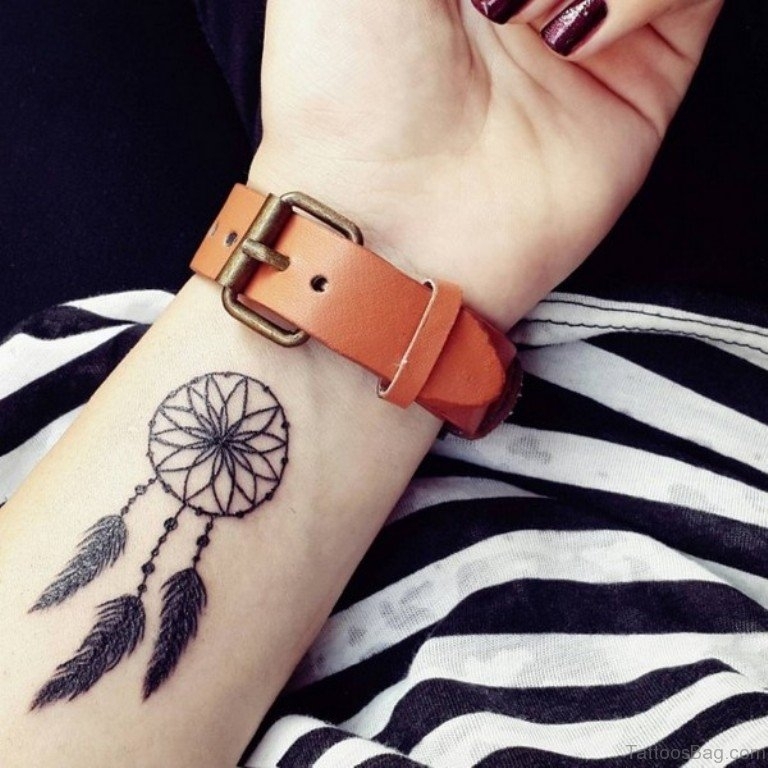 Aside from these ideas, do you know other symbols that can complement a dream catcher tattoo too? 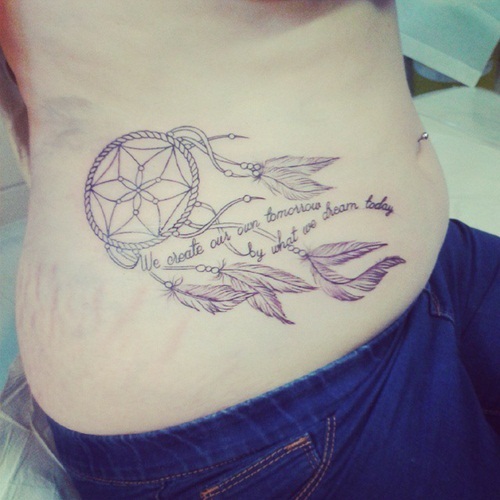 Or where else do you think should it be placed? 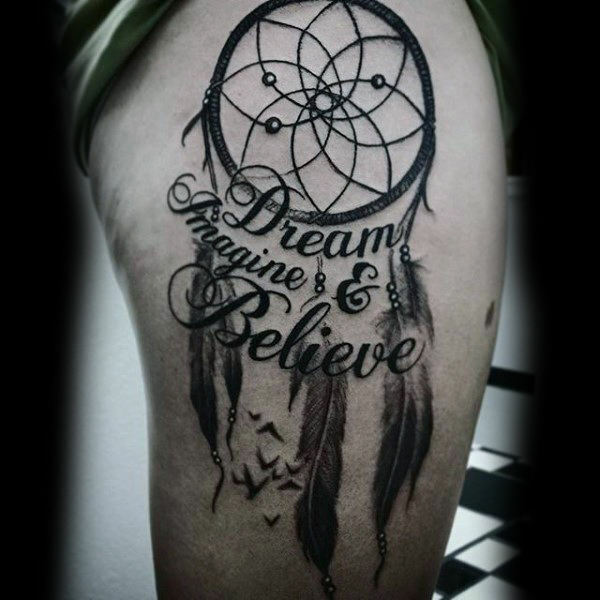 Join the comment section below and tell us which ones look best with the dream catcher tattoo and where should it be placed as well.